While not much is known about the animals living around coral reefs, ex-Marine turned researcher Harry Conley would often take to the island of Guam, western Pacific Ocean, and dig deep into the rubble to find fascinating critters as if by magic learnt at Hogwarts. 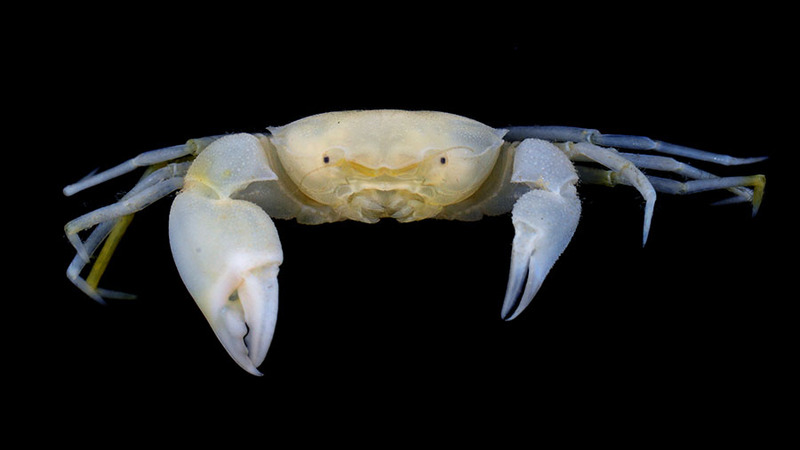 Almost 20 years after his discoveries and his death, a secret is revealed on the pages of the open access journal ZooKeys – a new species and genus of crab, Harryplax severus. Having dug as deep as 30 m into Guam’s coral reef rubble, Harry Conley collected many specimens which stayed in his personal collection until the early 2000’s when Dr. Gustav Paulay, currently affiliated with the University of Florida, handed the specimens to the second author of the present study, Dr. Peter Ng, National University of Singapore, which resulted in many discoveries and publications. Among the lot, however, were two unusual specimens which were not studied until much later. Only recently did Dr. Peter Ng and his colleague at the National University of Singapore and lead author of the paper, Dr. Jose Christopher E. Mendoza, discover that they represent not only a new species, but also a new genus. Having chosen the name Harryplax for the new genus, the two authors pay tribute to the crab’s original collector Harry Conley, who they describe as a “soft-spoken ex-Marine with a steely determination and a heart of gold,” and whose endeavours “have substantially advanced the cause of marine science”. The name is also meant to allude to the main protagonist in J. K. Rowling’s famous fantasy novel series, whose magical abilities the scientists liken to Conley’s knack for finding rare or new species. Of the two authors, Dr. Mendoza is the self-confessed ‘Potterhead’, who was not about to pass up the chance of naming a new crab after his favourite fictional characters. In his turn, Dr. Ng, who knew Harry Conley personally, was quite amused and happy to agree. The crab’s species name, severus, is inspired by another ‘Harry Potter’ character – Professor Severus Snape, who despite being a central character in the series, keeps his background and agenda mysterious until the very end, when he reveals a key secret. Showing his real identity, the character, to the authors, is “just like the present new species which has eluded discovery until now, nearly 20 years after it was first collected”. 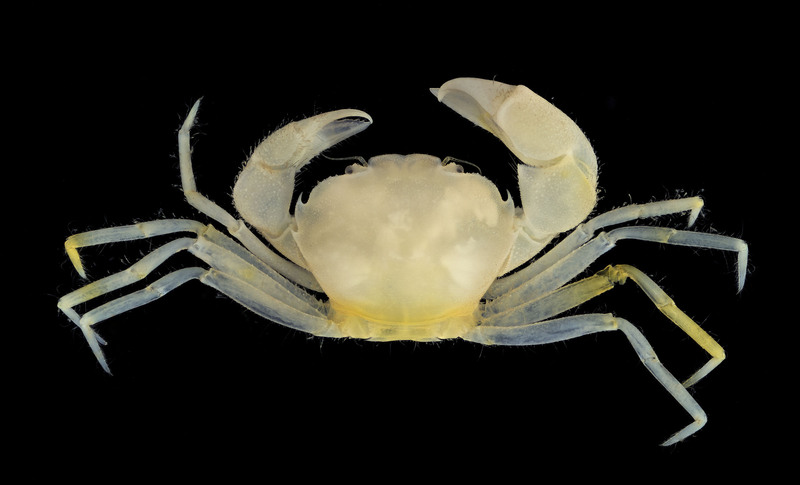 The new species is a tiny crab measuring less than a centimeter in both length and width and can be found deep in coral rubble or under subtidal rocks, perhaps also in cavities. To survive in the dark depths, the species has evolved with reduced eyes, well developed antennae, and long, slender legs. For the time being it is known only from the island of Guam.